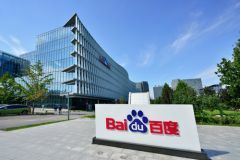 This page shows the latest Baidu news and features for those working in and with pharma, biotech and healthcare. language search engine Baidu.com. . .
East China – doesn't stop passers by from using Baidu Map (China's equivalent of Google Maps) when navigating the city's concrete jungle.